Tiger Spring is a deliciously different and fortifying health drink, powered by adaptogenic* panax ginseng, turmeric and cinnamon. This delicious tonic combines water and plant extracts and has been developed by ayurvedic and nutritional experts to help boost resilience and fortify. 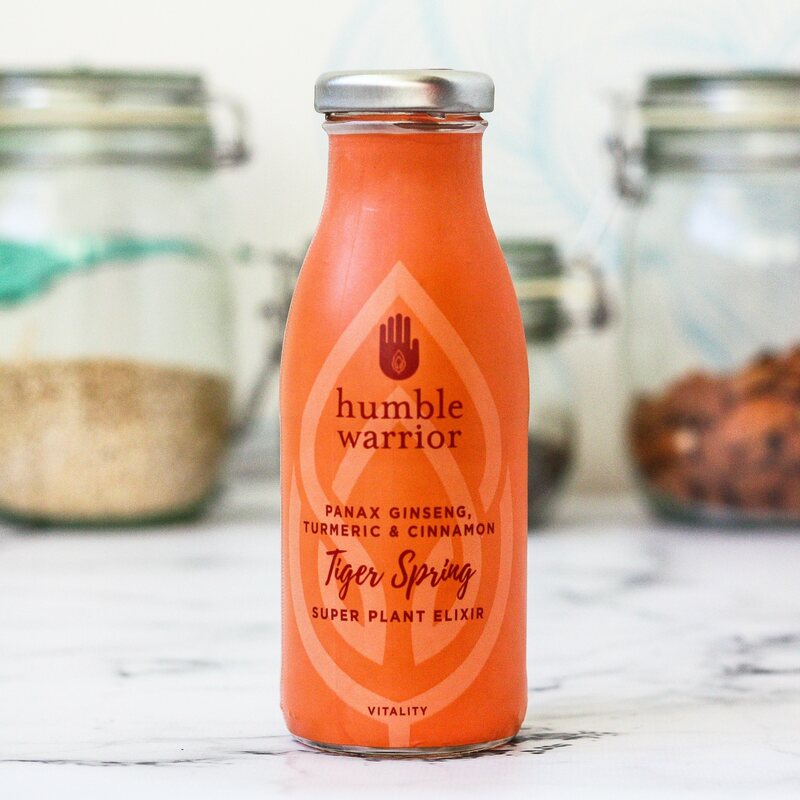 With no fruit juices or refined sweeteners, Tiger Spring is phytonutrient rich, low calories and the ideal turmeric drink. This is the booster of all boosters...blending Panax Ginseng and Turmeric - two incredible adaptogenic all-rounders used in Indian and Chinese traditions for centuries. These plants help support the body and are incredibly protective all year round. This nourishing and earthy tonic is perfect in the morning to kick start your day and boost resilience. 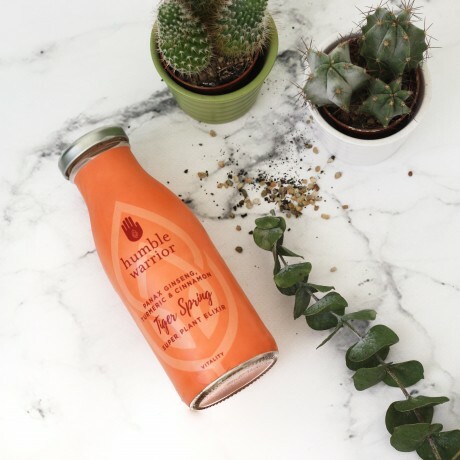 humble warrior is on a mission to make super plants part of the everyday in easy, delicious and authentic products. *Adaptogens are a special group of plants that have been used in the East for thousands of years to help relieve stress and regulate our body's release of stress hormones like cortisol. For best before date, see base of bottle. Once opened, drink within 24 hours. Plant based elixirs; drinks which blend pure British spring water and plant extracts thought to help combat stress and restore balance.